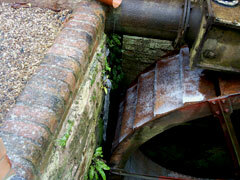 We have made quite a lot of progress at Shelsley Watermill since this photo was taken and you can read about it here. At there are two ways you can read about the water mill work, either by following the blog entries or by reading the chapters of the book as they are prepared. We are hoping to add a video tour in the near future. Click on any date to read that entry and then go forward or backwards from there. The clocks have gone back and the nights are drawing in. The team just wraps up more warmly and keeps going adding to our watermill story. The year started with a cold spell but the team still turns up. After a MAC social meeting on New Year's Day the work started again on the 6th and the 8th, 13th and the 15th-29th. The first week is influenced by snow but work goes on. Just. The 3rd & 5th are a tentative start to the month. The 10th was a better day, followed by the 12th, 17th, 19th and the 24th & 26th. The working month starts with wind and cold rain on the 3rd and continued on the 5th, 10th, 12th, 17th and the 31st. No April Fool jokes this year. We continue to add to our watermill story with work carried on on the 2nd, the 7th & 9th, 14th, 16th, 21st, 23rd and the 28th & 30th. Another month and we are still finding plenty of work to do, starting on the 4th & 6th then the 11th & 13th, 18th - 20th and the 25th & 27th. 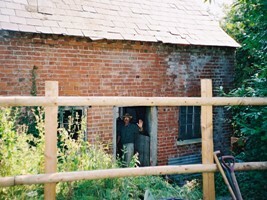 The mornings are getting cool and the mist lies in the Teme valley but the volunteers still meet at the watermill. Read about the 1st - 13th and the 15th - 29th. Only one blog entry for the whole month, describing the ongoing work. A masterclass to start the month, with only the 8th a session before Christmas. The first meeting of the new year, on the 18th, brought more snow. 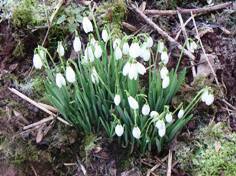 The first blog of the month covers the end of February as well, followed by one covering 9th - 30th.